CLOSEOUTS. 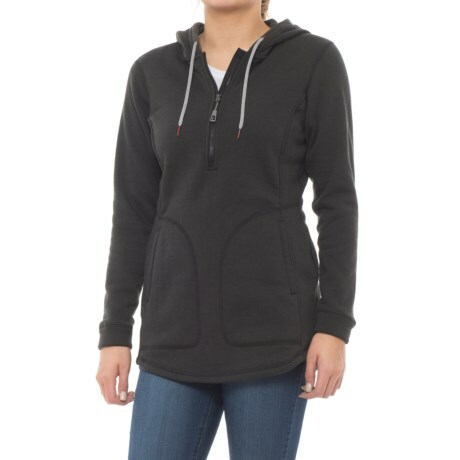 Toadandamp;Coand#39;s Coldspring hooded fleece tunic keeps you ready for cool weather in plush synthetic fleece lightly infused with wool fibers for extra warmth. Available Colors: BLACK, DEEP TEAL, NIGHTSHADE. Sizes: L, M, S, XS, XL.